#1: My Republican friends are angry, and rightly so. #2: As a MeToo I can’t tolerate stupid. 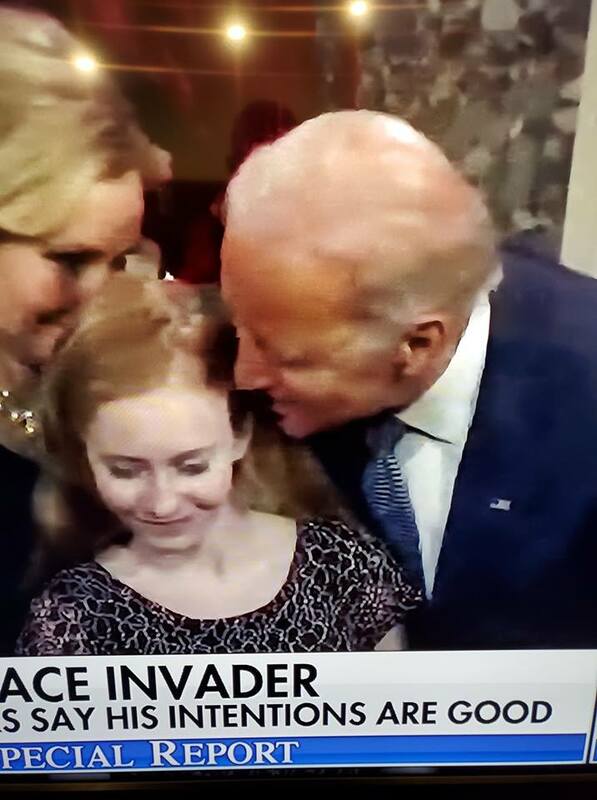 Plus, does Joe Biden think his inappropriate touching is funny? I don’t know about any of you, but the above photo that I chose for this blog post is especially creepy. It makes my skin crawl. First off, these two biker guys from Ohio don’t know what the heck to do. The guy on the left is rolling his eyes at the guy on the right. And the guy on the right, is side-eyeing the whole seedy scene, like WTF? And secondly, is this woman married to one of these guys???? I mean, back off Joe. I can’t answer for every #MeToo, but I’m here Ken, and I’m disgusted. And I will not vote for Joe Biden. IF YOU’RE 70 OR OLDER, YOU NEED NOT APPLY. Oh, wait. Trump can’t quit. Because if he does, he’ll probably get arrested. Anyway, let’s get back to Biden. Don’t you think they look creepy? But if you choose to run, exercise some self-control. And don’t try to make a joke out of it. Because inappropriate touching is not funny. Oh, and as far as asking if it’s okay to touch someone. You think asking and having someone say yes makes it okay? It doesn’t make it okay. Because if you ask, they will probably say yes, even though they don’t mean yes. YOU’RE POWERFUL, SO PEOPLE DON’T WANT TO SAY NO TO JOE. Stop asking, and stop touching. And above all, stop joking about it. I used to have a lot of respect for you. But your time has passed. For a lot of reasons. You’ve been a stand-up guy. So do the right thing, and don’t run, don’t touch, and don’t joke.